Watters Taylor Gown new with tags size 6! 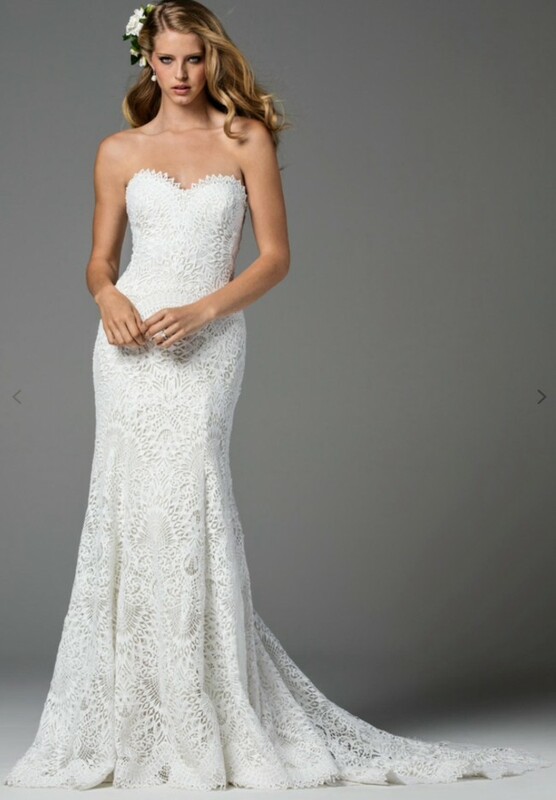 Delicate coquille lace runs the length of this fit-and-flare gown - from its sweetheart bodice and low back to the dramatic train. Soft netting and stretch satin finish this divine gown with a modern twist on one of the classics. Style# 2018B. Color: Ivory/ Oyster.